A Most Memorable Myrtle Beach Experience. Myrtle Beach is known as the Grand Strand as it is wedged between the endless sandy beaches of the Atlantic and the Intracoastal Waterway. 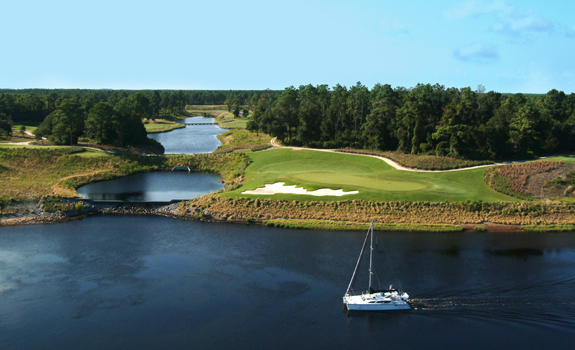 The Grand Dunes Resort Club, spanning 2200 acres from the bluffs of the Intracoastal to the ocean, is one of the area's premier resorts featuring a luxury real estate community, the spectacular Marina Inn, a ten court tennis club, private access Ocean Beach Club, two world class golf courses and more. 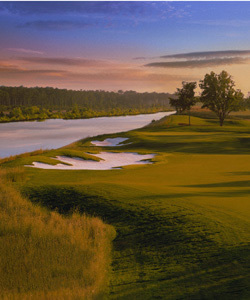 The exclusive Nick Price designed Members Club is a private members only facility while the Resort Club at Grande Dunes is open to the public. 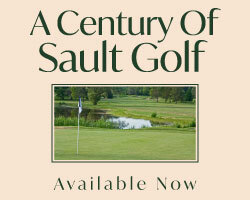 This Roger Rulewich design has received numerous accolades within the golf industry. Playing along a rolling routing, the course features expansive greens, forgiving driving areas and plenty of water, bunkers and length to test your game. This terrifically playable layout has a great blend of options both with the driver and for your approaches. Carefully consider your abilities before selecting your tee deck at the Resort Club as this most enjoyable experience could be ultra-challenging, considering the back decks play over 7500 yards at sea level. Played from an appropriate set of tees this experience will be memorable for both the golf and the setting. Walking off a golf course trying to decide the four shot-makers holes to highlight sometimes can be a challenge. In spite of it being considered the easiest hole on the course, the sixth hole is a fine example of risk reward design. The long bombers can flirt with a considerable carry over lengthy well placed bunker dividing the fairway into a left or right route to the green. Laying up short of this menace still leaves a short to mid iron into a multi-level green protected well with bunkers left and right. The ninth plays along the Intracoastal, high above the water to a fairway with a severe drop in elevation aiding your roll if you are lucky. The approach plays back up to a hillside green making club selection a challenge. The 13th is a great risk reward par 5. An expansive pond makes your second shot a real head-scratcher, depending on your yardage with the driver. 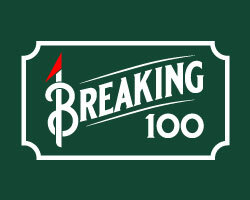 The cautious play is to lay-up shot of the water leaving a nearly 200 yard uphill third shot. The gutsy player must overcome the 40 yards of agua if a wedge is to be the play into this heavily sloped, stepped green complex. The par 3 14th is a gem. 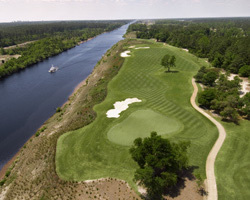 Playing with a backdrop of sailboats and cruisers in the Waterway, the long iron or wood must cross over a river, waterfall and fronting bunkers on the way to this lengthy tricky green.